After arriving in Indiana from Butler County, Ohio, Francis lived in Montgomery and Porter counties in Indiana before leaving the state in 1837. This entry was posted in Montgomery County, Porter County and tagged Campbell, Forbes on September 17, 2014 by oahblog. John resided at Smyrna, Jefferson County, and Shelby County, Indiana. They moved in 1884 to Holton, Jackson County, Kansas. This entry was posted in Jefferson County, Shelby County and tagged Bonwell, Bowser, Brassbridge, Campbell, Crozier, Itce, Lichlyter, Winters on April 13, 2014 by oahblog. Prior to her marriage, Lydia Ann is said to have lived in an orphanage. 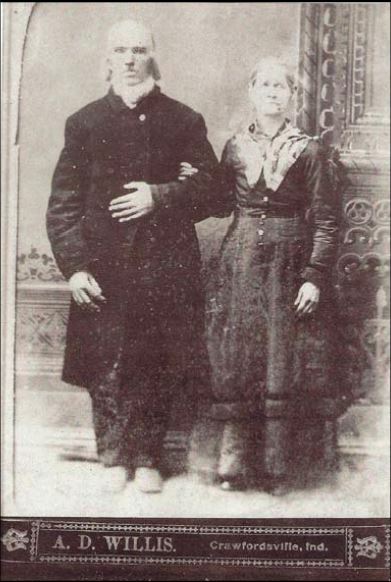 According to his Civil War records, Andrew and Lydia were married by Samuel K. Ross at Cincinnati, but the records were destroyed when a courthouse burned. 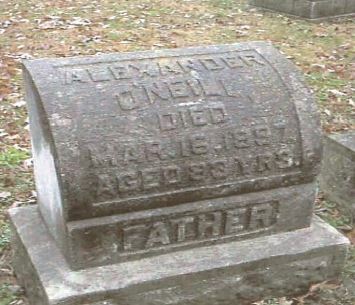 Andrew was an octoroon whose grandfather, according to census records, was a “free mulatto”. Andrew J. Murphy enlisted in the Union Army at Indianapolis on 18 August 1864 and served in a colored unit. After discharge he settled in Fairland Township, Shelby County, Indiana. In 1880 he emigrated with his family from Hymera, Sullivan County, Indiana, to Manhattan, Riley County, Kansas. This entry was posted in Dearborn County and tagged Campbell, Dain, Haddow, Morgan, Murphy, Parrick, Pleakenstrauffer, Smith, Vance on March 28, 2014 by oahblog.